MLB reports – Jonathan Hacohen: Today we are in for a treat folks. One of my all-time baseball faves is our feature on the Reports. The man needs no introduction in baseball circles. He can flat-out play the game. Karim Garcia. The man has played ball in New York. Los Angeles. Cleveland. Arizona. Korea. Japan. Mexico. World Baseball Classic. The man has done it all…and seen it all. After making his major league debut with the Dodgers as a raw 19-year old, Karim went on to play for 7 MLB teams over 10 seasons. His best statistical season came in 2002, as Karim belted 16 home runs playing mostly for the Indians, with a .297 AVG and .574 SLG. The fact that he was able to produce those numbers in only 53 games played shows his strong hitting potential. 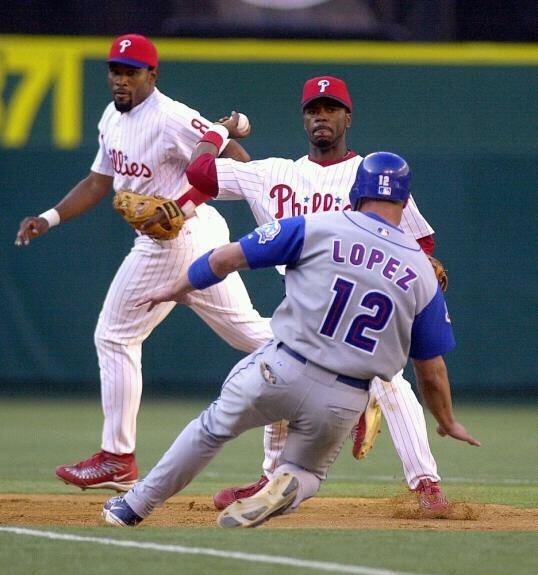 Watching him play, it was always obvious that Karim Garcia could hit. He just needed the opportunity to play. Therein lies the unfairness of baseball. It can be a cruel and unforgiving sport. 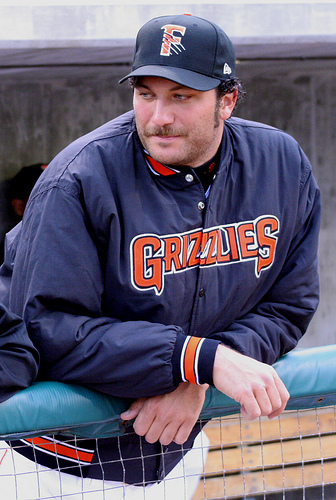 Karim played 113 games with the Diamondbacks in 1998 and 96 games with the Tigers the following season. Despite his hitting abilities, Major League Baseball never game him the opportunity to play a full season. To show what he can do with a full year’s worth of at-bats. Few can understand how difficult it can be to play sparingly off the bench unless you have done it. Karim Garcia has done it. He did it for a decade in the show. Despite knowing he could star and not receiving that chance- he persevered. 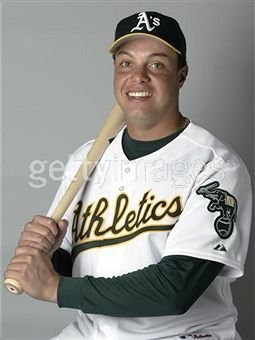 Karim Garcia came back to the big leagues, with different teams year after year, to prove himself. To play the game he loves and to play the only way he knows how. Hard. When the opportunities in North America did not present themselves, Karim Garcia did not give up. Far from it. Over the last 8 years, Karim Garcia has been travelling the globe to play baseball. Korea. Japan. His native Mexico. Wherever he can find a high level of competition and the opportunity to play ball, Karim has taken it. He doesn’t play for the money. He doesn’t play for the glory. Karim Garcia is playing ball for the simple love of the sport. 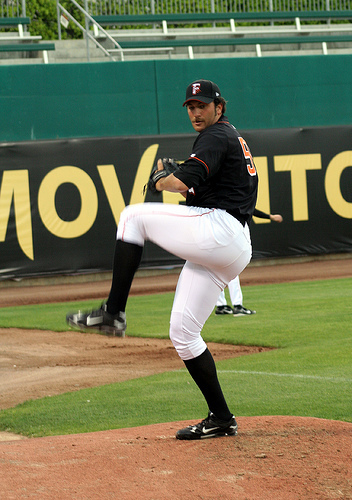 Karim’s glory moments came as part of the recent 2009 World Baseball Classic. The man was playing in the tournament like his hair was on fire. The intensity. The passion. Every big game. Every big at-bat. If it involved team Mexico, you knew that Karim Garcia was involved. The undisputed leader for his country, Karim showed at the plate and the field that the magic burned strongly within him. Yet despite a strong WBC showing, the majors did not come calling. With the 2012 season upon us, I see many MLB teams missing the intangibles. The veteran presence. The key bat off the bench. Those types of players are the difference between a contender and a champion. What does the modern game need you ask? More players like Karim Garcia. I recently had the pleasure of speaking with Karim, as he currently plays in the Mexican league. Karim is playing baseball for one reason, and one reason only. To return to the show. To return to where he started…and where he belongs. It is impossible to turn back the hands of time and unfortunately Karim will never get back the chance to play full-time in his 20’s in the majors. But Karim is not looking to change the past. He has no regrets. The Karim I spoke to is only looking to the future. Before his playing career is done and he looks towards his next mission of managing, he wants to make it back to North America. Back to playing Major League Baseball. Karim is ready to help a team to a championship. With all of years and experiences in the game, that chance should be there. It needs to be there. Karim intends to make it happen. Sam Evans: Last night, the Texas Rangers finally agreed to a contract with Japanese pitcher Yu Darvish. The Rangers, who won the bidding to exclusively negotiate with Darvish last month, are acquiring a talented young starting pitcher. They definitely didn’t pay a small price for Darvish. We shall see if it was a worthy investment in the years to come. Yesterday was the last day of bartering between the two sides. If Darvish and the Rangers could not come to terms on a contract, then Darvish would have pitched in Japan for the upcoming year. Luckily, they came to an agreement and we will see Darvish in the major leagues this year. After the Rangers paid $51.7 million to negotiate with Darvish, it became clear that Darvish wasn’t going to come cheap. Darvish signed a 6-year, $60 million contract, making him the fourth highest paid player on the Rangers. In total, the Rangers are paying over $110 million for Darvish. On the other hand, C.J. Wilson who showed a desire to stay in Texas, wasn’t offered a contract. 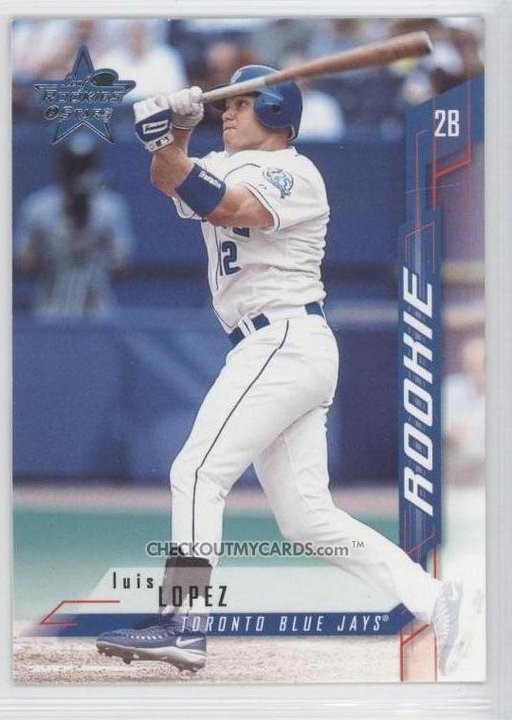 He ended up signing with the Angels for 5-years, $77.5 million. 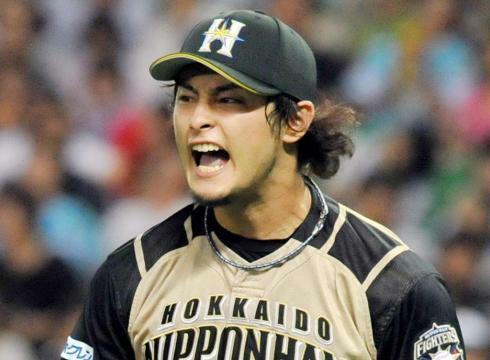 One thing Yu Darvish has shown in Japan is the ability to carry a heavy workload. 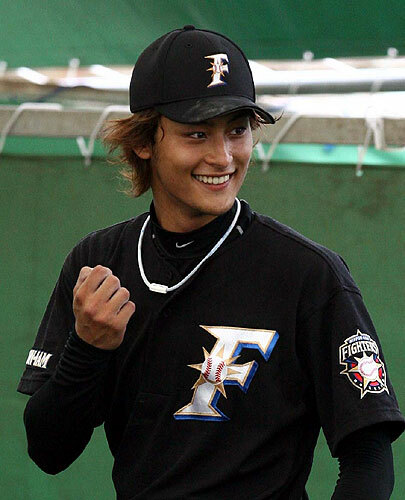 Darvish has pitched over two hundred innings in Japan every year for the last five years. Unlike other aspects of the game, an inning in Japan is the exact same thing as an inning in the majors. Conversely, I’m worried about the quality of hitters Darvish will be facing in North American. Japanese professional baseball is often compared to Triple-A. Both are considered to be leagues with hitters who don’t rely as much on scouting reports and can be overwhelmed with a fastball. In the majors, Darvish is going to have to deal with advanced scouting watching every game he pitches, and then analyzing and finding a way for opposing hitters to beat Darvish. In my opinion, it’s crazy that the Rangers are paying this much for a player who has never even pitched in the minor leagues. This is a huge risk that the Rangers have shown that they’re willing to take. Personally, I would rather have C.J. Wilson for thirty million dollars less. Darvish should be a successful pitcher in the major leagues. His awesome array of pitches will likely baffle Major League hitters this year. Not to mention, the shuuto he throws will be something that most MLB hitters have never seen. Nevertheless, the Rangers are paying Darvish thirty million more than Justin Verlander, Felix Hernandez, and Chris Carpenter. With his contract, Darvish will have to be an immediate ace for the Texas rotation in order to be worth the money. If I were the Rangers, I’d rather have used that money to go after Prince Fielder and sign him to a short-term deal. Fielder would be a bigger upgrade for the Rangers at first base over Mitch Moreland than Darvish will be over say, Alexi Ogando. The Rangers could have possibly signed Fielder to a 3-year deal, and brought in a veteran pitcher like Roy Oswalt to fill out the rotation. The Rangers would have had a much superior team than they will have with just Darvish… for the same price. I’m not doubting Texas GM Jon Daniels, but I think the Rangers might have gotten a little bit carried away in the Darvish extravaganza. Besides his on-field performance, the Rangers are betting that between international merchandise sales and marketing exposure, Darvish will literally pay himself. Time will tell on that one. For 2012, the Rangers will be looking to compete with the Angels to take the AL West. While the Angels overall roster has a slight edge on the Rangers, Texas has enough minor league talent to go and acquire a star first basemen at the trade deadline if Prince does not come aboard. Overall, Rangers fans should not be worried about the Darvish contract. The Rangers may have overpaid, but Darvish will bring youth and potential to a Rangers rotation that needs it. If everything goes well, the Rangers will have six years of Darvish to keep them continually in the running for a World Series title. MLB reports – Jonathan Hacohen: When I first spoke with Steve Palazzolo, I was blown away by his stature. How could you not be…the man stands 6’10” and throws baseballs for a living! The first images that went through my mind were Jon Rauch and Randy Johnson. Comparisons that I am sure Steve has heard his whole life. But once you get past the sheer size of the man, you find a person with an even bigger heart. A gentle giant, Steve is very well spoken and intelligent to converse with. With the shortage of quality arms in today’s major league bullpens, one would expect that available arms would be snapped up in a second. But that is not always the case, especially for Steve Palazzolo. 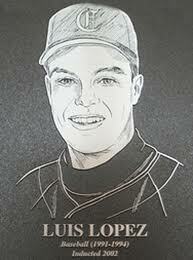 He pitched five seasons in the minor leagues, between the Brewers, Giants and Mariners organizations. He made it all the way up to AAA before returning to Indy ball the past season and a half. Steve will be 30 by opening day and continues to battle his way to achieve his dream: making the big leagues. As we discussed in yesterday’s interview with Luis Lopez, Jerome Williams made his way from Indy ball to the Angels rotation last year. Dreams do come true. Steve Palazzolo has shown that he has the talent. Taking a look at his numbers from last year, Palazzolo pitched 53 games for the Blue Crabs- finishing with a 9-5 record, 3.06 ERA and 1.200 WHIP. He only surrendered 4 home runs while striking out 57 batters. Watching him on video and considering his talents and strong character, I would be snapping this guy up pretty quickly if I was a baseball General Manager. To succeed in baseball, you need to have talent and a chance. Steve Palazzolo has the talent. Now he is just waiting for his opportunity. MLB reports: First question: Steve. Palazzolo is an interesting last name. Meaning and origins? 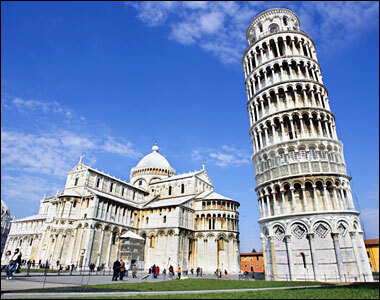 Steve Palazzolo: It comes from the Italian word Palazzo, which means palace. There is also a village in Sicily named Palazzolo. I’d definitely love to visit some day. MLB reports: Everyone reading your profile would see: 6’10”, 29-years-old and a right-handed reliever. On paper you should be in a major league bullpen. What is your current active status? Steve Palazzolo: Current active status is “trying to join a major league bullpen.” Really, though, I’ve spent the last year and a half in the Atlantic League with the Southern Maryland Blue Crabs, just continuing to learn and get better. It’s definitely a never-ending process in baseball, and I’ve spent the last couple years adding different pitches and arm angles, while also learning different ways to attack hitters. I’m also looking at a possible opportunity to play in Japan, so we’ll see how it all plays out. MLB reports: We last saw you playing for AAA Tacoma in 2010. Since then you have been playing Indy ball. What led you back to playing Indy? What are the differences between Indy and playing in the minor leagues? OK, so the Cliff Lee deal brought in a few minor league pitchers and I got the axe. I’d say the main difference in Indy ball is the organizational structure. There is no class level, so you’re not really worried about moving up or being sent down. Just go out and do your job and do it for the team. I’d say my Indy teams have been the most closely knit teams I’ve ever been on. It’s usually the same core of guys for the entire year, and everyone wants to get back to affiliated ball, but there is a definite emphasis on winning as a team. Not to say that affiliated teams can’t be close, but there is a lot more player movement that tends to disrupt team chemistry throughout the year. MLB reports: You have played in the Brewers, Giants and Mariners systems. 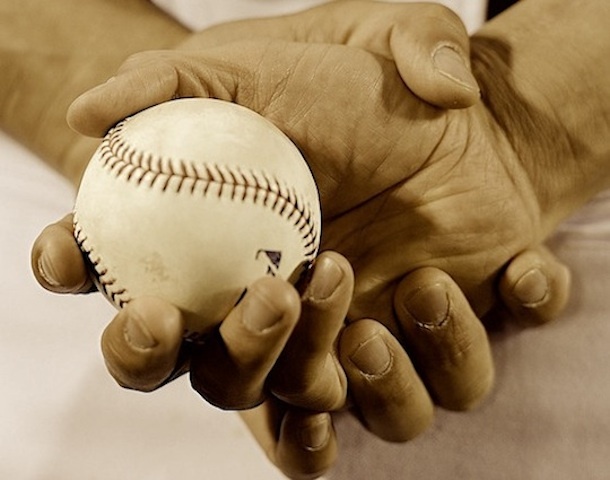 Tell us about the best teams that you pitched for in your professional career. 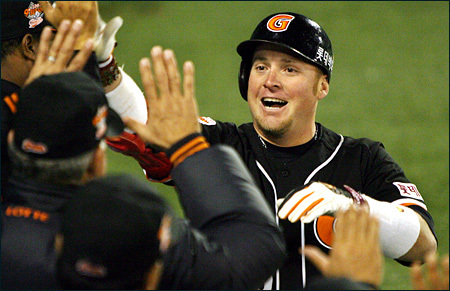 Steve Palazzolo: As far as talent goes, the 2009 Fresno Grizzlies are near the top. Our overall record doesn’t show it, but with about three weeks to go in the season, we had the second best record in the Pacific Coast League but we were 14 games out of first place behind Sacramento. Bullpen wise, the 2008 Connecticut Defenders was probably the most talented I’ve been a part of. We had a number of pitchers who went on to have some big league success, most notably Sergio Romo who was closing for us. If we’re talking clubhouse unity, I mentioned the Indy teams, but the 2010 Tacoma bullpen will always hold a special place for me. Even though I was only there a short period of time, we had an outstanding group of guys who genuinely cared for each other and did a great job of staying entertained for the first five innings of every game (always an important in the bullpen). Steve Palazzolo: First to marry the love of my life, and best friend, Kelley Donoghue (she is looking over my shoulder as I type). Simple answer is to pitch to the best of my ability, regardless of where I’m playing. MLB reports: You were signed as a free agent by the Brewers as your first organization in 2006. Tell us about the process in joining Milwaukee. Steve Palazzolo: Pretty fun story actually. 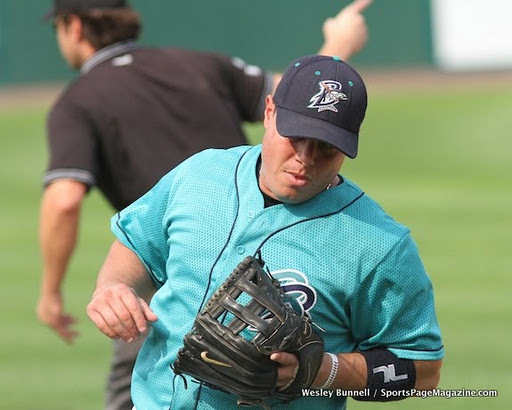 I had just finished my second professional season with the Worcester Tornadoes and was sitting at my computer on a Thursday in late January when I received an email from my good friend, Will Carroll. He forwarded me an email from a Brewers scout that referenced an invitation-only tryout at their spring training complex that Saturday. Will mentioned how it was unfortunate that I was not in Arizona. I emailed him back with the title, “Last Minute Trip to Arizona?” Will sent the request back to the Brewers scout who agreed that if I could get to Arizona, I would be welcome to try out. I immediately booked a flight for Friday and made the workout on Saturday. At the workout, they suggested I mix in a couple different arm angles (which I’d experimented with before) and as it turns out, I was one of only two guys signed that day. 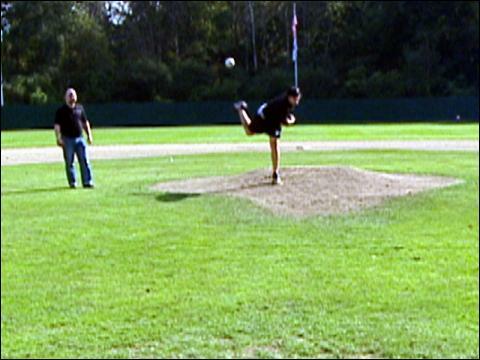 MLB reports: Given your size, most people would think that you would be a power pitcher. How would you describe yourself as a pitcher and tell us about what you throw. Steve Palazzolo: I wouldn’t say power pitcher, but I do think my height gives me a big advantage and helps all of my stuff to play a little better. I throw a 4 seam fastball, slider, splitter and I just added a new changeup. My change is interesting as I started to experiment with it toward the end of last year, and I may have found a really good grip that I will stick with for good, possibly even replacing the splitter. As I mentioned, I’ve also experimented with a number of different arm angles, so I’m always mixing it up. MLB reports: Every baseball player works towards making the big leagues. What do you need to do in order to achieve that dream? Steve Palazzolo: At this point in my career, or anyone’s career for that matter, the phrase you hear is “right place, right time.” Pitchers mature and figure things out at various times in their careers so that’s why I’m constantly looking to improve. I think I just need another shot to play in Double or Triple A, then it’s all about pitching well. Pitch well, and if it matches up with a situation where the big league team needs a pitcher, then it can happen. I know this: I’m confident in my abilities to pitch successfully in the big leagues, it’s simply a matter of continuing to improve while also getting an opportunity. 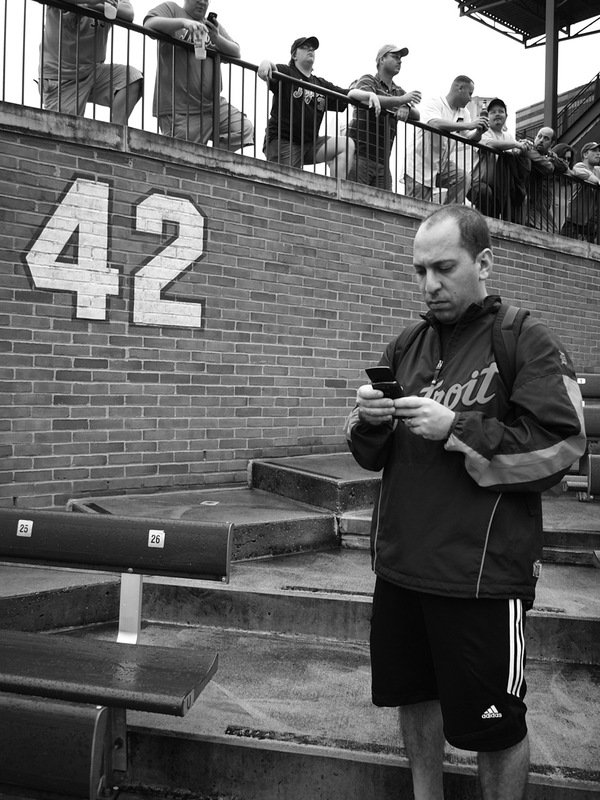 Steve Palazzolo: I’d probably be a pitching coach, and that’s what I do all offseason. On my long road through the minors, I used myself as my own science (pitching) experiment. It’s been a constant process of trial and error, and I’ve learned so much along the way. So my plan is to coach, while also developing my own business as a pitching coach. I have a couple of blog posts up at www.stevepalazzolopitching.wordpress.com, but I have to get better putting up more consistent material. I’m also an analyst and writer for www.profootballfocus.com. Just started this year, and it’s been a lot of fun breaking down the NFL. 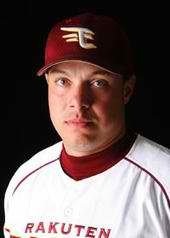 Steve Palazzolo: I do remember a hanging slider I threw in 2008 that went for a home run. I should have thrown a fastball. Really though, I made the decision early in my career to put everything I had into it, and I’ve been very blessed along the way. No major regrets. Steve Palazzolo: This is a tough question. Making me think here. As a kid, expectations are always glamorous. Everyone wants to be like their TV heroes, but when I entered pro ball, I already knew that it was a difficult grind. Not sure I can think of any major surprises, but I will mention the one thing I appreciate and that’s the uniqueness of everyone in the game. Players coming from all walks of life, all over the world, unified by the game of baseball. It’s really amazing to think of the people I’ve met along the way. MLB reports: Choice of cleats and glove- what brands do you use? Steve Palazzolo: Nike cleats and Spalding glove. If and when I hit, always Franklin batting gloves. MLB reports: Given your height, how do you find clothes shopping? Steve Palazzolo: It’s difficult. There are a few stores that carry big sizes, but I have to do a lot of my shopping online. The Big and Tall store is better for wide rather than tall, so a lot of the stuff is just way too big. MLB reports: Which past or present MLB players would you most compare yourself to? Are either Randy Johnson or Jon Rauch a close comparison? 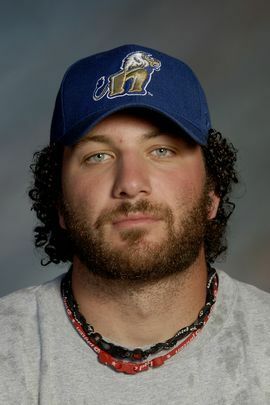 Steve Palazzolo: Kenny Powers. Actually, he stole my look. I’ve been rocking the mustache and long hair since ’06. I really try to take something from everyone, whether it’s Randy Johnson or Tim Lincecum. As far as comparisons, Johnson isn’t great because he was such a hard thrower. Rauch is an OK comparison, but he has a higher arm slot than me. The one pitcher I’ve seen who compares favorably is Kameron Loe from the Brewers. We’re not identical, but our natural arm slot is similar. He’s 6’8” tall and also likes to mix up arm angles so I can relate to his style a bit. MLB reports: We discussed the potential of you heading to Japan. What are your thoughts on heading to the far east? Steve Palazzolo: It would be a great opportunity. The competition is great and I’ve seen a lot of pitchers who have gone there and then come back to the states as better pitchers. 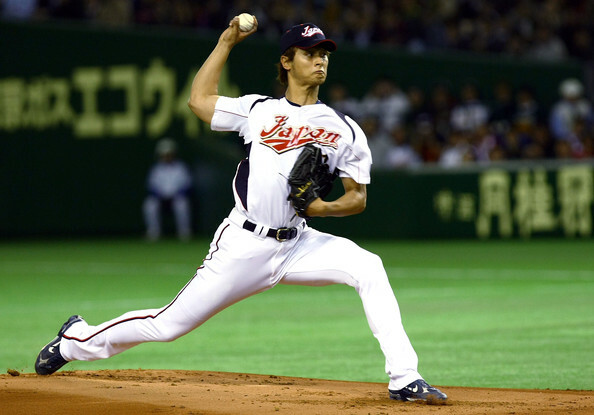 It’s a different style in Japan, and I think the hitters force each pitcher to use his entire repertoire. Even though the culture change would be difficult, I’m hoping I get the chance to play there. MLB reports: Last question: to a young pitcher in school just starting out, what advice would you give them? Steve Palazzolo: Work hard, work smart. I don’t think the grammar is correct on that statement, but I think it gets the point across. Anyway, pitching is a lot more than throwing a ball to a target (or is it?). Preparation is extremely important, and when I work with young pitchers, I like to break it down into four main areas: mechanics, strength and conditioning, nutrition, and mental approach. Oh and it’s important to have fun while doing it. The best players love the preparation.